We tried to develop habits like coming home and washing hands right away. 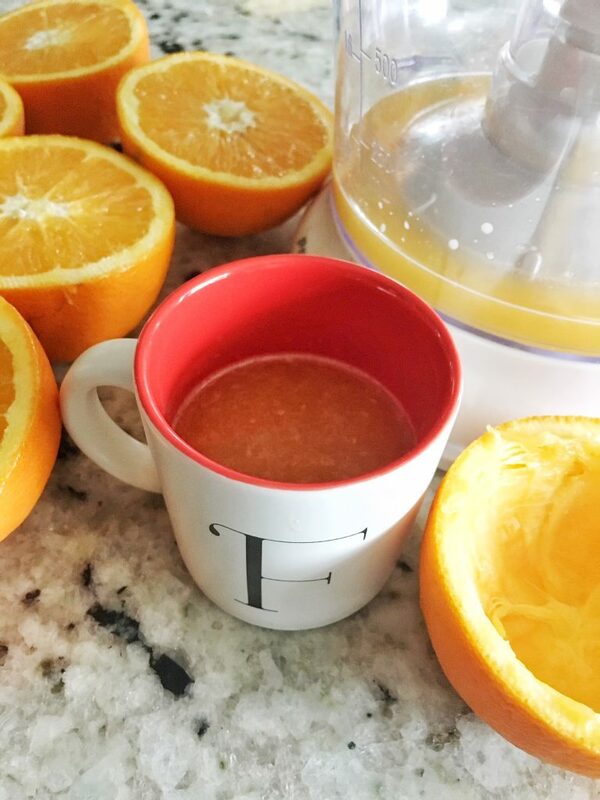 Fresh orange juice has become a daily occurrence to ensure we are getting our Vitamin C to ward off any colds. We have also started drinking Feel Good Syrup. It’s in the name, this stuff is meant for you to feel good. 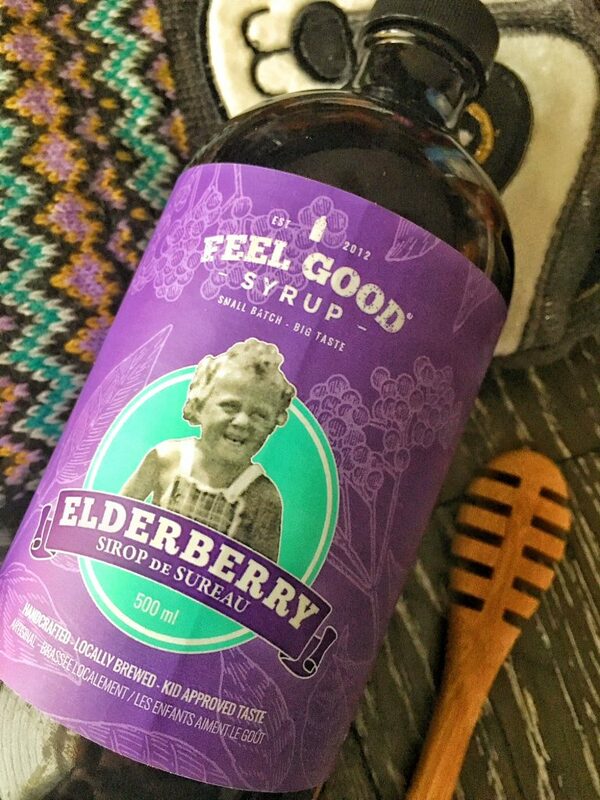 Feel Good Syrup is an elderberry syrup that’s brewed right here in Alberta. With so many benefits of elderberries, a little bit of this daily is definitely something to help keep you on the healthy track. Elderberries contain vitamin A, B and C, and helps boosts the immune system. With its anthocyanidins, elderberries are a great natural treatment for cold and flu symptoms. They have anti-inflammatory and antioxidant properties which help in clearing up sinus infections. Just the thing you need to add to your daily routine and help keep you healthy. Other benefits of this miracle berry include lowering blood sugar levels and helping treat allergy symptoms. Elderberries are a natural diuretic and laxative and they even lower cholesterol. I love it when the ingredient list of anything I’m consuming is made up of things that I know and can pronounce. The syrup has a simple list of elderberries, cinnamon, cloves, honey, ginger, lemon juice, citric acid and water. Things you can feel good about. 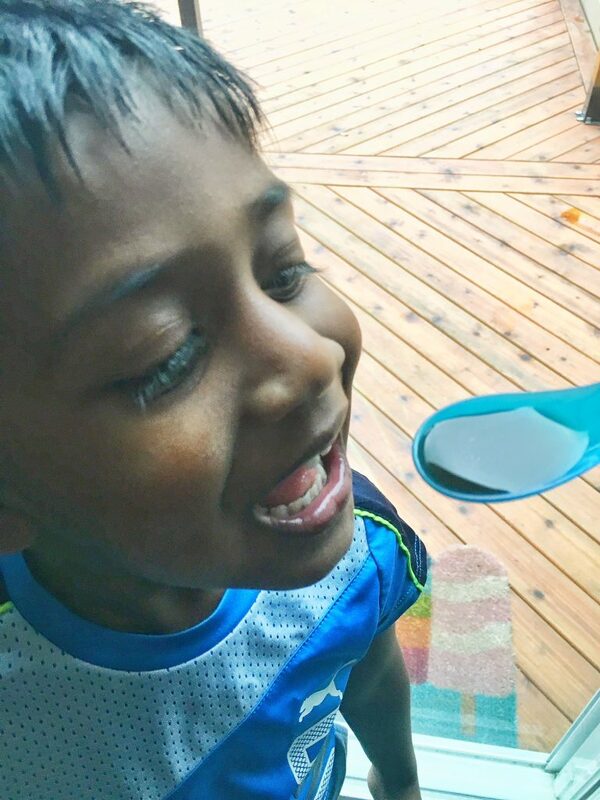 The syrup is quite tasty and the kids are happy to drink it without any fuss. I also added a splash of it to some sparkling water which makes for a delicious drink. You can use the syrup in recipes as well. Click here for some recipes using this syrup. Feel Good Syrup is available at many retailers around Alberta. Check out this list to find a store near you. Watch for it soon at Blush Lane Organic Market in Edmonton and Calgary.